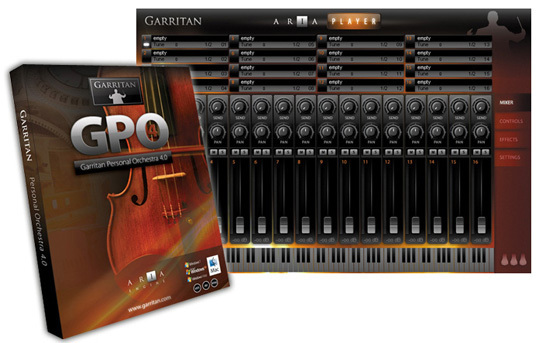 Personal Orchestra 4, Virtual Orchestral Instrument from Garritan. 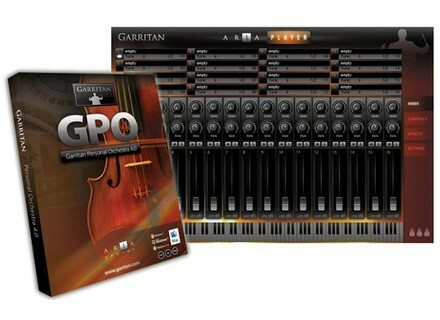 Product replaced by the Garritan Personal Orchestra 5. Dargor's review"An orchestra at your hands." There were no conflicts nor compatibility issues under WIndows XP and 7. The manual is really clear and easy to read, giving you extensive examples and detailed explanation on the program functions and usage. Really easy setup and configuration straight forward, also very well explained on the manual. Great interface and all the program's instruments are available on the go, as well as their filters and effects, as something that i gaven't seen often on many other virtual instrument programs. Program stability is not an issue at all and it works perfectly as long as you have a decent amount of RAM memory, as well as a good processor (Core 2 Duo or higher). I've been using it for a couple of years now, but just after 3 months of constante usage, it became a vital part of my work, due to the (so far) unmatched quality of the instruments. 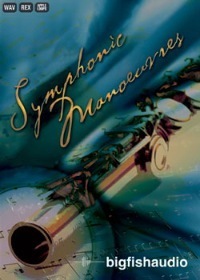 If you are looking to emulate a real orchestra, then this is probably the best available option. Due to it's outstanding sound quality, worths it's price by far. I haven't seen any other sound bank or program that has as much quality as this one on what regards the classic orchestral instrumentation. Strings, brass, woodwinds, keyboards, choirs... Everything you need to bring that orchestral composition that you've made to life. And it's plugin compatibility with programs like Cubase or Sonar makes of GPO 4 a MUST HAVE for every composer and music producer. If you have the chance to lay your hands on it, don't let it go! modiel's review (This content has been automatically translated from French)" Very good product. A purchase"
* The installation is done it without problems? With a very easy, unlike the first versions of GPO ..
A marvel! It consumes almost nothing. Yes. I have never yet had a problem. * For how long have you been using it? Pros: very easy to use, inexpensive, and sounds good. Cons: Lack cruelly joints in the brass and woodwinds. We have the sustain (and playing with mutes for brass) but not staccato. However, it was still entitled to a flutter for solo flute and piccolo ... Sounds ill-suited to fast strokes. Runs ropes or wood will be quite ugly. Finally, to ring the bank, he must know a minimum of orchestration? * Did you try many other models before getting this one? Yes, without hesitation. I own banks in its much more powerful now, but in the end, I realize that I used in addition to all other banks (etce without exception) my compositions as easy to use and with sound good quality.